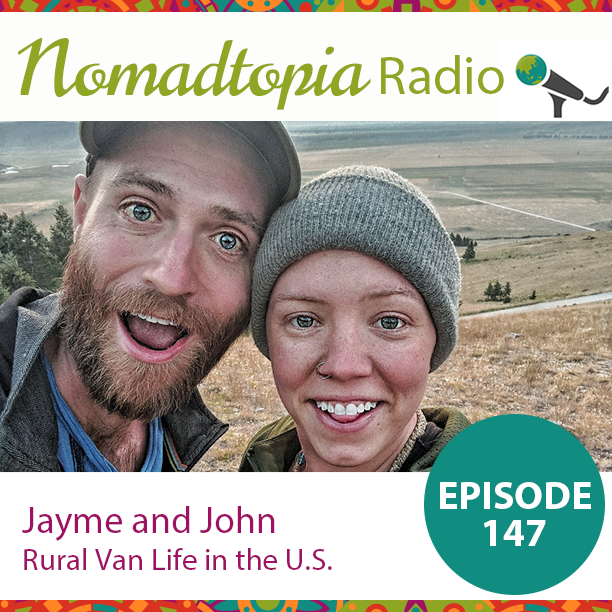 Home/Podcast, with pets/Jayme and John: Rural Van Life in the U.S. Since 2017, Jayme and John (and their two dogs) have been living in a 1996 Chevy Express van, which they built out themselves for full-time living. They enjoy spending time in rural areas of the U.S. where the dogs can roam free and they can spend time on work or personal projects. Note: Links with an asterisk are affiliate links, which means you may receive free credit or another bonus and Nomadtopia may earn a commission or other benefits if you sign up/purchase using that link. There’s no additional cost to you, of course! Please leave a review in Apple Podcasts or your favorite podcast app to help more people find the show!